Discover the next generation of spas and hot tubs in Vancouver with H2O Spas! With exclusive designs and unmatched quality, our spas, hot tubs and water accessories are the perfect addition for any home. With trending styles, innovative designs and unmatched customer service, we strive to make your spa experience a luxurious and rejuvenating affair! With a large variety of spas and hot tubs in Vancouver that fit every style and budget, H2O Spas is the best place to shop for exclusive hot tubs and spas for your home! Browse our complete collection today! Take luxury to the next level and enjoy ethereal bliss like never before! 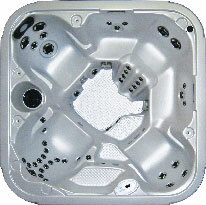 Our exclusive line of high quality Canadian-built hot tubs is ideal for all kinds of spas. Offering a vast variety of design choices, we have spas that will suit your unique lifestyle. Explore our unique selection of spas for soakers and jet lovers, and spas that are especially built for recreation or therapy. We also offer exclusive spas for couples or for large families. Enjoy an invigorating and exciting spa experience with our exclusive line of hot tubs! With convenient features and state-of-the-art performance, these modern spas bring comfort and luxury to your home like never before. Engineered to perfection, our premium hot tubs collection includes high quality spas that offer innovation and performance at their best. Discover industry-leading choices of spas that come with the twin advantage of body-sculptured design and a high level of energy efficiency. With years of experience in the industry, we promise complete peace of mind to all our customers. At H2O Spas, customer satisfaction is our top most priority and we make sure that your enjoyment continues long after the initial purchase of your H2O Spa! Committed to excellence, we only offer the highest quality of spas and hot tubs in Vancouver that are unmatched in class, design, innovation and functionality. All our spas and hot tubs in Vancouver come with an industry leading guarantee so that you can enjoy a blissful spa experience at your home for years! Looking for more spa options? 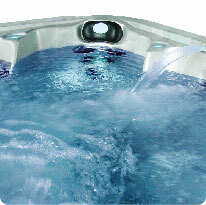 Searching for the perfect place to shop for hot tubs in Vancouver? Click here for more information on our service areas in Delta, Surrey, Langley & Vancouver. We want to hear from you. Call us on 604.946.1077 or drop us an email at info@h2ospas.ca. Our Customer Service Representative will be happy to assist you in choosing the perfect spa or hot tub for your home!